Check it out! 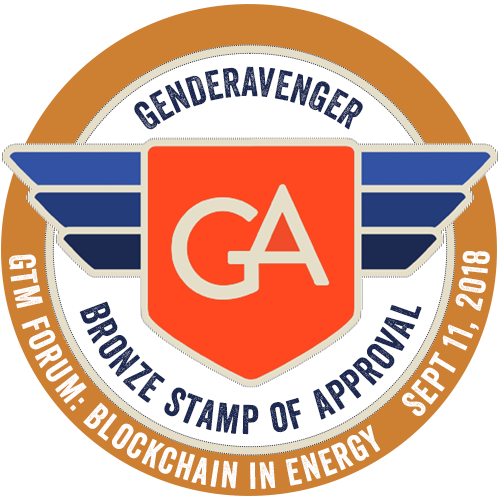 We get to award the GTM Forum: Blockchain in Energy a Bronze Stamp of Approval. That’s not something we’ve been able to say about an event that focuses on cryptocurrency before. Because they understand that the fields of energy and Blockchain are dominated by men, and as part of their Women Advancing Grid Edge (W.A.G.E.) initiative, Greentech Media made a conscious effort to put together a gender-equal group of speakers and avoid manels not only for this forum but for all of their events. And they did it! The list for their September 11th forum consists of 48% women (36% of whom are women of color) and 52% men. And good news for other conference organizers, they’re sharing how they did it. Your hard work has been noticed, GTM, and congratulations are definitely in order.